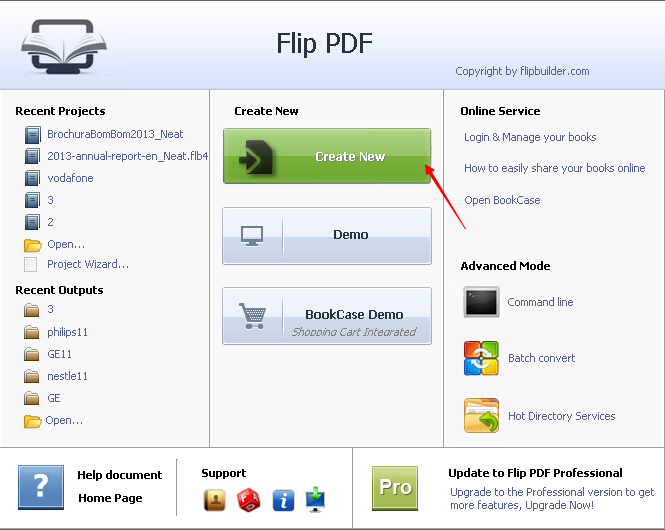 How to add a new scene as the scene resource in A-PDF FlipBook Creator? I want to add a new scene as the scene resource in my own software. Is there any software allowing me to do so? With A-PDF FlipBook Creator, you are allowed to add new scenes easily and change the scenes back to ordinary background within minutes. 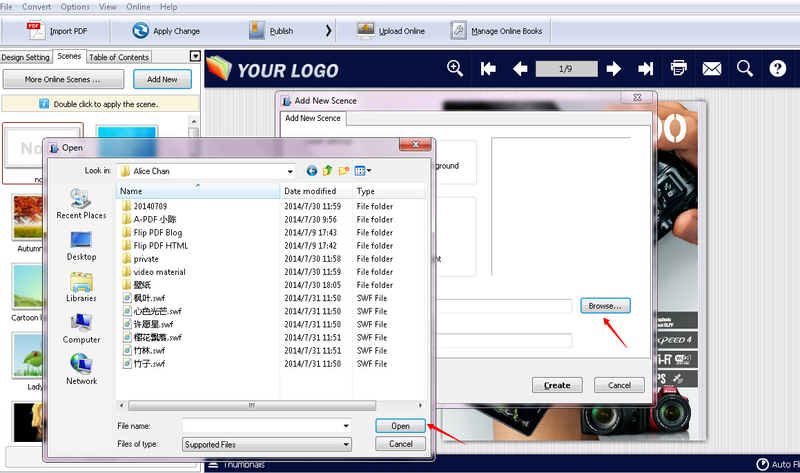 Step 3: Click "Import Now" to enter into Template Design Interface. Step 4: Click the "Scenes" tab and then click the "Add New" button to add the new scenes you want to add. 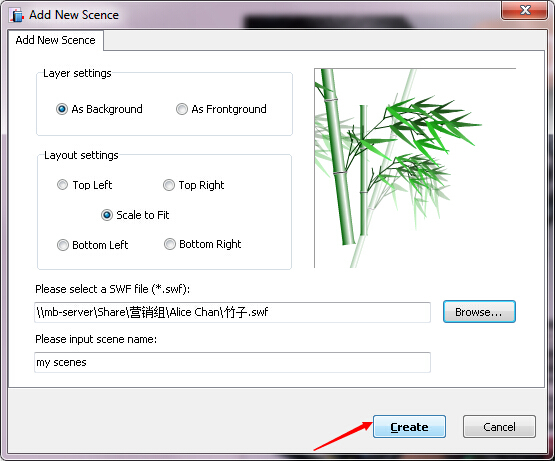 Step 5: Click the "Browse" button to choose the new scene. 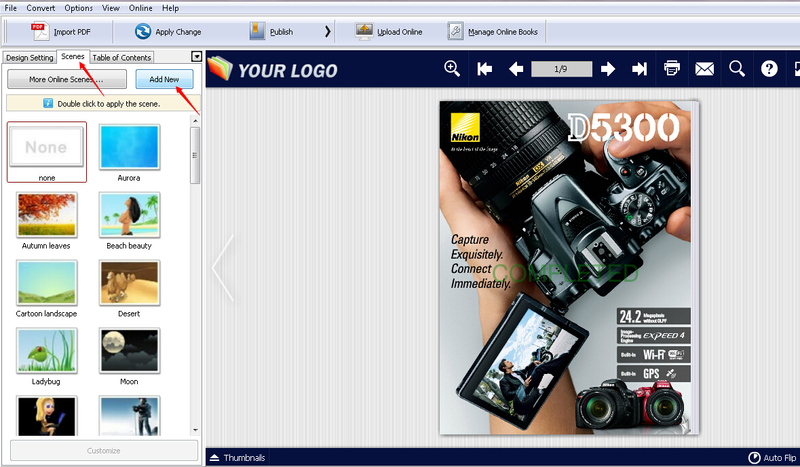 Step 6: Click the "Create" button. And then you can apply the newly added scene right now or later. 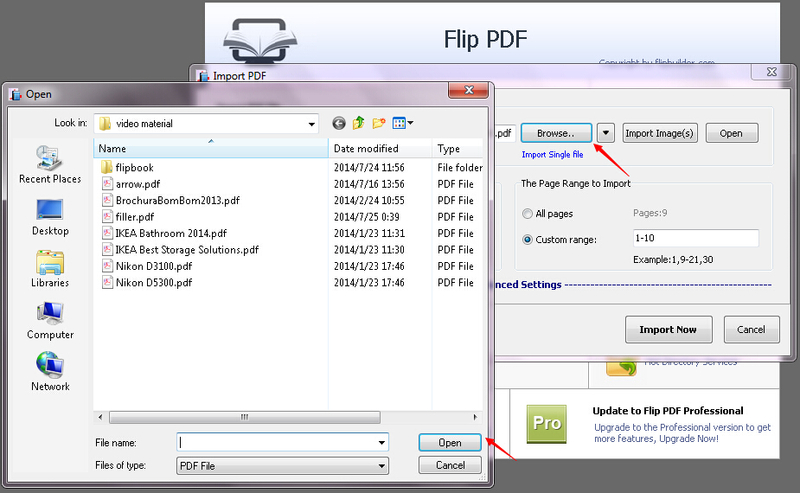 A-PDF Page Turner - Convert PDF files to flash books with page flipping effect both online and offline.